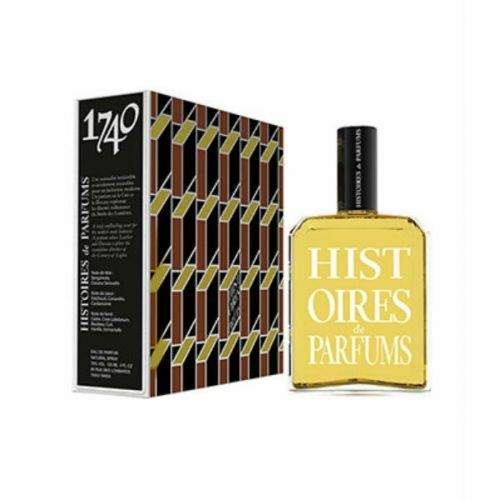 Histoires de Parfums 1725 Eau de Parfum 120ml - For every Casanova, here is an eau de parfum inviting intense pleasure, an amber fern mixing fine wooded tunes and touches of lemony freshness, sublimed by the elegance of lavender. Warmed with heady spices and colored by sweet fruits. Spray Histoires de Parfums 1725 Eau de Parfum and enjoy. Histories de Parfums has been my guilty pleasure for a few years now but is still quite unique out there and very difficult to get hold of. I bought a sample set from this site in November to try new fragrances and have been torn as to which one is my favourite. Have opted for this one 1725 and 1969, both incredible! Everyone asks what I'm wearing, very different. Incredibly unique but very wearable. I had a whif of this on someone and thought Wow! I've bought loads from the grooming Clinic and as usual I'm more than happy with this amazing fragrance! It's so unusual and every time I wear it people ask what it is! Not cheap but then for this quality you wouldn't expect it to be. Also lasts all day!